You’re engaged. Your mind is racing with all of the different options and vendors to choose from. You don’t even know where to start (that’s why I highly recommend hiring a planner! ), but know you want certain vendors. Whether it’s because your friend used amazing vendors at her wedding you loved, or you’ve been following them awhile on social media, or maybe you head to The Knot to find more options, things start coming together! And when it’s time to pick a photographer, it’s important not to view this as just something to check off from your list of things to get done! A photographer is one of my most important vendors for your wedding day!! You might think I’m saying this just because I am a photographer, but let me explain why it’s SUCH an important part of your day! First off, your photographer will be planning with you for MONTHS, maybe even over a year! And on the wedding day, your photographer will be around you a LOT! I joke with brides I’ll be by your side more than your groom! Your photographer has a huge say in planning your timeline, capture the teary moments of your mom zipping up your dress, the one who shares in the joy of your first look, and the one that sees you first after you come down the aisle as husband and wife! It’s a BIG deal! But they also can set the tone for the day! You want to know your photographer will stay positive, be kind to you, your bridal party, and your family, and will treat your loved ones how they deserve to be treated no matter the circumstances. Your photographer has more interaction with you and your loved ones than any other vendor on your day besides your planner! It’s a BIG decision! But there’s another reason your photographer is worth investing in. Your photos will last decades into the future. 10 years after the wedding, many of the things from the wedding won’t be here anymore. But you’ll have your photos to treasure for a lifetime. You’ll be able to relive this day over and over with your pictures. Also, a talented photographer will make the other investments even more valuable. Think about it this way. You say yes to the dress of your dreams, have the cascading bouquet you’ve always hoped for, and have never felt so glamorous with your hair and makeup perfect! Not to mention, you’re smiling more than you have any other day you can remember. But what if that emotion isn’t captured beautifully? What if you paid thousands for that dress, only to not love the pictures of it? What if the flowers you’ve been wanting for years aren’t photographed well? 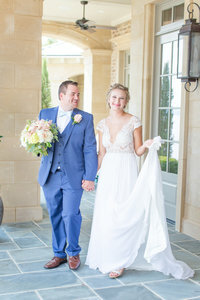 A skilled photographer who matches your style will be able to provide you with beautiful images showcasing the money, time, and thought you put into your day! I was talking to a friend who wished they had spent more on their photographer. She told me she was disappointed with what she received, and that she looks through her wedding images monthly, even years after her wedding! Yes, she loved her wedding and is thankful someone offered to do the pictures for free, but wishes she had hired a better photographer and invested in that area for her wedding. And last, we associate pictures with how we were feeling in that moment. A friend recently took photos of my boyfriend, Edward and me. We were laughing almost the entire session, and when I look at those images I remember the joy and laughter we had in those moments! But it goes the other way too. 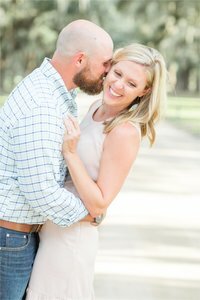 If you felt crazy uncomfortable your whole engagement session, and felt really awkward working with someone, chances are you’re going to feel those emotions again looking back at the images. That’s why it’s important to find someone who makes you feel comfortable, relaxed, and taken care of. Someone who makes it a happy and exciting time, and shares the joy with you! This shouldn’t be a stressful experience, but a fun, relaxed one to capture such a special time! You should feel amazing about yourself during your photos! And you want to look back on those pictures and remember the joy you felt with the person who matters most to you! How do you know when you think you’ve found the right photographer? First, be sure that you love their style! Remember, a professional photographer’s style should stay consistent wedding to wedding, so look through their wedding blog posts to be sure it’s the style you’re hoping for! You should be in love with the tones and general feel of a photographer’s photos, and excited to get to have your own photos by that photographer! If you’re scrolling through your feed and the same type of image keeps catching your eye, make a note of what it is about the image! Is it the soft color and happy emotions? Or the dark shadows and more moody feel? Make sure you’ve looked around and checked out websites of photographers you’re seriously interested in so you’re for sure getting the style you’re hoping for! Second, talk to your potential photographer over the phone or in person. 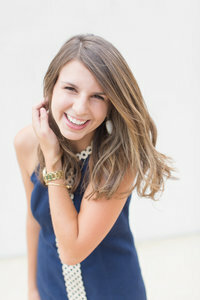 It is completely fine to want to meet with or talk to your photographer before you book them! I always offer to call or meet with brides, and prefer that so we can get to know each other and be connected. I wouldn’t suggest making 20 meetings with 20 different photographers, but meet with the final few you’re deciding on! Hopefully the answer is clearer after that! Instead of looking up “50 questions to ask your photographer” on Pinterest, ask them genuine questions you’re wondering, and let them explain their process to you! 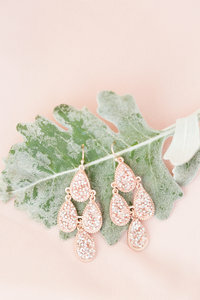 You should feel like you’ve clicked, and remember they’ll be around you a LOT on your wedding day! Find someone you can trust. You want your photographer to step up and confidently tell you their process to delivering gorgeous images and an incredible experience. You want to KNOW you can trust the person capturing this once in a lifetime day. When you find a photographer you can trust, SO much stress and pressure is taken off. I had one bride who woke up to rain on her wedding morning. When I showed up for her wedding day I explained the plan we were going to take and she said, “Christa, I saw the rain and honestly wasn’t worried because I knew you’d take care of everything.” These beautiful portraits below are from her rainy wedding day! Read reviews about the photographer, or ask a friend who used them! What did past brides say about them? What stuck out to the brides? If you’re looking for a photographer who values having a relationship with their brides to offer an amazing experience, do the reviews mention that? If you’re looking for someone with a super quick turn around rate, do any reviews mention this? If you had a friend who used this photographer, ask them what they thought! Figure out what YOU value from your photographer, and I assure you there’s a perfect fit for you out there! 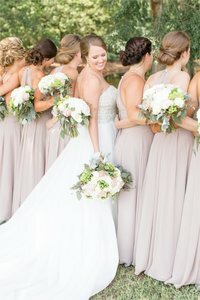 Most photographers have a review section on their website so you can read reviews right there, and see what brides loved about them! Also, be sure your photographer offers the things you’re looking for in a package. If you’re unsure about something, simply ask! For example, if albums are a priority, I’d suggest finding a photographer who offers albums. If you definitely want a second-shooter, ask if that’s included as well! How much should you spend on a photographer? This is different for every person! But if you find someone you love, who makes you feel comfortable, who you know you can trust with your wedding day, and someone you already can’t wait to be in front of their camera so you can receive pictures you’ll love and treasure for years to come, that’s worth investing in! I do not always believe paying more gets you more value in every case; however, often finding true value does come with an investment that you look back and are thankful you’ve made. But you should rest assured if you know you’ve found the perfect photographer to capture your wedding day. I hope this helps in your search to finding the photographer that best fits your needs, and also helps explain why it’s such a valuable investment! If you’d like to learn more about my system and investment, head to my wedding website page! Happy planning! Want to see more pictures? See my wedding blog posts!